We are the KING of 1-1,000 piece, short run, digital print orders. With our four, hi-speed digital presses, we are consistently running small quantity RUSH printing jobs on the same day or by the next day. Because we are constantly calibrating, the quality of the prints produced on our Xerox Versant V80P’s is extremely high when compared to our competitors with the same machine. The latest addition to our digital press line up, a new CMYK+white ink press, can print full color PLUS WHITE INK and produces even sharper images. We spend hours on fine tuning and calibrating our machines to get the best quality possible. Let SLB Printing be your Los Angeles Printing Company. A live voice always answers our phone during store hours. You will never have to talk with automated answering systems when you call SLB Printing. If our customer service associates are not able to answer your questions, a skilled prepress technician or press operator will take your call and work on a solution to whatever file problems or printing questions you may have. We offer conventional 4-color CMYK offset printing for longer run jobs. We also have the ability to handle jobs that require 1 to 3 color spot color matching. When it comes to 4-color offset printing, you can rely on SLB Printing and you can enjoy lower pricing than offered with our short run digital printing services. Got ridiculous deadlines? We have accommodated many print orders that were needed “yesterday”. You can rely on SLB Printing for your RUSH printing needs! But don’t take our word for it, see what our customers have to say about us online. We have helped advertising agencies, motion picture / television companies, CBD and edible cannabis companies as well as clothing and industrial manufactures presenting at convention shows all over Southern California. 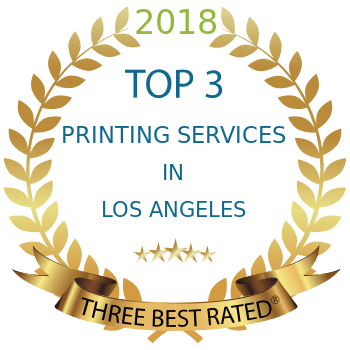 Areas including the Los Angeles, Santa Monica and Orange County regions have all had their last minute needs fulfilled at SLB Printing. From simple hand outs and brochures to pull up banners and 5’x10’ walls, SLB Printing gets it done. Clients from all across the United States along with International clients from Europe, Asia, New Zealand, Australia and many more Countries have all called on SLB Printing because we have the reputation of getting the job done right and on time. Our bindery department includes a full service letter and mailing shop. Hi-speed inkjet addressing equipment can address your postcards, self-mailers, appeal letters, statements and more. SLB Printing utilizes postal automation software that helps you get the lowest postage rate for your mail and that conforms to the new U.S. Postal Service IMB barcode requirements. When you choose SLB Printing for your presort mailing jobs, you do not even need your own postal permit. This is because we allow you to use our First Class or Standard mail presort permits for free. Click here to learn more about our mailing services. We have a great location – right at the heart of several Los Angeles business districts. We are Beverly Hills and Culver City adjacent and within minutes from Santa Monica, Century City, Downtown Los Angeles, West Los Angeles and Hollywood. Located ½ mile north of the 10 Freeway (Santa Monica Freeway) at 2818 S. Robertson Blvd, we have plenty of on-street parking and a lot in back of the building. It takes a special group of individuals to make up the team of employees who are now the core of SLB Printing. Every one of us enthusiastically looks forward to the opportunity to exceed your expectations when choosing a print provider for all your visual needs. Shelby Blecker President of SLB Printing Inc.
"These guys are the best kept secret of print shops in LA!" - Li-Wei C.
"I just don't understand...how you consistently...pull miracles...out of your a**" - Jason C.
"These are my favorite printers in town. They go above and beyond to make it happen, even same day if they can swing it. Their prices are also the best." - Ginger H.